MANILA, October 25, 2017 – Columbian Autocar Corporation (CAC), the exclusive distributor of Kia vehicles in the Philippines, has been taking the country’s urban roads by storm with the all-new Kia Rio 1.4L A/T. Prior to its Philippine debut in May, the 4th generation Rio has been causing a stir in the automotive world. Words such as “confident” and “progressive” have become bywords for the Rio. The design team from California, Germany and South Korea worked closely to make that build up true to form. Embraced by Filipinos as a fun drive, the Rio has been known to combine functionality with enhanced aesthetics, while delivering a powerful driving experience with comfort to match. Its bold, Euro-inspired design has earned the Rio a 2017 Red Dot Design award for its category, giving the brand its 18th Red Dot since 2009. Another world-renowned award giving body, the iF International Forum Design GmbH, has given the Rio an iF Design Award for its mature character-its longer hood and shorter rear overhang makes for a stable, self-confident stance. The fourth-generation Rio is a little bit bigger than its predecessor and maximizes its minute increase in external dimensions into a noticeable increase in interior space, specifically in the form of more leg and headroom. The inside of the vehicle isn’t just bigger but it’s also been refined. The materials used in the cabin and the layout of the driver-oriented dashboard make the Rio just as enjoyable to ride, as it is to drive. In compliance with the country’s Clean Air Act, the Rio comes standard with a Euro 4-compliant engine making it more efficient in burning highly refined fuels resulting in a reduced carbon footprint. This allows you to run faster, greener and with improved fuel consumption. Smart convenience features such as the steering wheel-mounted control and Smart Key with push-button start are ergonomic and add to the ease of the drive. 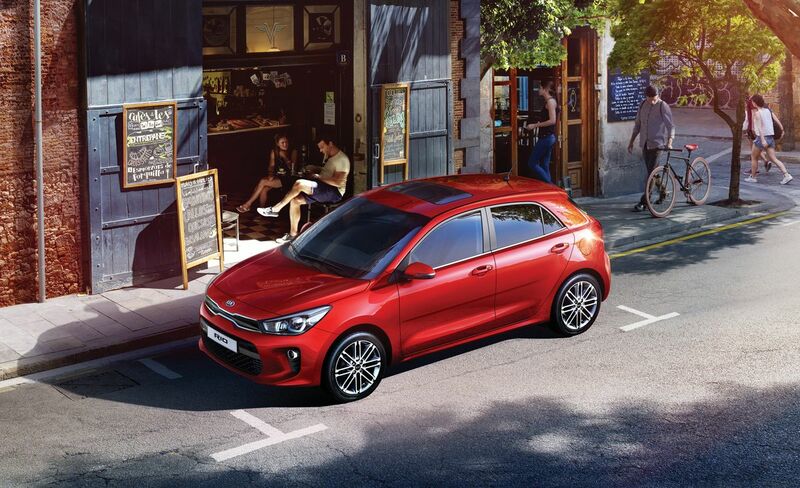 Top it all off with a genuinely enjoyable driving performance with nimble handling and fine-tuned suspension, you too will soon see why the Kia Rio is such a hit for the Korean brand. Even with all these technical features, numerous car enthusiasts and reviewers alike agree that it is one of the cars with most affordable cost of ownership due to lesser maintenance with the mileage it can give its owner. The Kia Rio 1.4L A/T is available for purchase starting at Php 735,000 SRP and comes with Kia’s industry-leading 5-year warranty, which includes roadside assistance, among other privileges resulting in a competitive cost of ownership. Visit your nearest Kia dealership for more information.